The changes the 20th century brought to American presidential politics — party redefinition, the rise of progressives, third-party disruptors and the changing role of the press — “continue to hold true” in the 21st century, says Margaret O’Mara, University of Washington associate professor of history. O’Mara is the author of the new book “Pivotal Tuesdays: Four Elections that Shaped the Twentieth Century,” published in August by University of Pennsylvania Press. She discussed her book and the four elections it investigates with UW News. Because of the UW! My colleagues asked me to deliver the annual History Lecture Series in autumn 2012, on the eve of the last presidential election. Some of the great people who came to hear my talks inspired me by asking, “When’s the book coming out?” My colleagues and family encouraged me as well. By then I was entranced with these stories and how they fit into the broader tapestry of modern U.S. history. So I got to writing, and here it is. Why did you choose the elections of 1912, 1932, 1968 and 1992 to focus on? I passed up writing about some consequential election years — like 1948, when Strom Thurmond bolted from the Democrats to run as a states’-rights, pro-segregation candidate, or the legendary Kennedy-Nixon showdown of 1960, or the Reagan landslide of 1980. I did this partly because many people are already familiar with these stories. But my purpose also was to make a bigger point about how different election years and historical eras connect to one another. O’Mara will explore how past elections can help us make sense of Seattle’s political present. The four elections also had three important things in common. They happened at a transformational moment of economic and cultural change: from farms to factories; from prosperity to depression; from establishment to counterculture; and from an age of manufacturing into a globalized, high-tech era. Successive waves of new media and technologies also defined each of these elections, from newspapers to radio to television to the cable news “spin cycle.” And, last, they vividly show how the core issues and constituencies of both Democrats and Republicans have changed over the century. Three of these four races also had some sort of third-party spoiler. Even though they didn’t win, these political mavericks had a decisive effect on who did win on election day. Speaking of third-party spoilers: You note historian Richard Hofstadter‘s comment, “Third parties are like bees. They sting, and then they die.” What lessons about third parties are to be learned from these four elections? They show the durability of the two-party system, made possible by continual shifts and reinventions within the parties themselves. At the start of the 20th century, the Democrats were the party of the South, of small government and states’ rights, and home to some fiery populist attacks against an intellectual elite. The Republicans were the party of the urban Northeast and upper Midwest, home to advocates of government activism and reform, college-educated urbanites and African Americans. Over the years, constituencies shifted due to demographic and economic change and in response to the issues and interests of third-parties and other insurgents. Both Socialist Eugene Debs and Progressive Teddy Roosevelt ran in 1912 on messages of reform and more robust government action; Woodrow Wilson’s Democratic Party incorporated many of these issues and ideas going forward. George Wallace’s 1968 attacks on “pointy-headed” government bureaucrats became potent talking points for Republicans from Nixon to Reagan and beyond. And Ross Perot’s folksy 1992 crusade raised the ante for both parties to appeal to the growing bloc of independent voters. You write that the 1912 election showcased a new style of politics where “charisma and celebrity mattered, as Teddy Roosevelt’s journey showed.” What effect did “TR” and his outsized personality have on that and subsequent 20th century elections? Teddy Roosevelt seized upon and came to embody a disruptive, modern style of campaigning that started to percolate at the end of the 19th century. Political reforms had lessened the power and sway of party insiders. The proverbial “smoke-filled rooms” where deals got done were still around, but now candidates themselves took a central role in presenting their platform to the voters. Personality mattered more. Issues and ideology mattered more. The rise of newspapers as a mass media contributed greatly to this. A candidate needed to be able to drop pithy quotes to reporters and make big speeches on the road that would get written up in local papers that evening. Teddy Roosevelt excelled at this candidate-centered campaigning like no other before him. By 1912 the Rough Rider, ex-President and global adventurer was the biggest celebrity in America. When he lost the Republican nomination to the then-incumbent William Howard Taft (who himself ran a very old-fashioned “Rose Garden campaign” that involved few stump speeches and lots of back-room deals), he was able to buck the party machinery altogether and strike out as the leader of a new third party, the Progressive Party. Today, presidential elections revolve so much around personality and “likability.” It’s no surprise that TR’s cousin, Franklin, would understand the power of having this kind of personal connection to voters, cultivating a similar persona through his famous “Fireside Chats” two decades later. 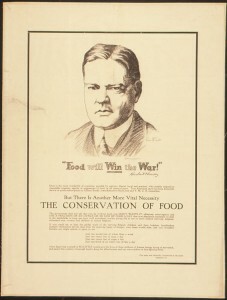 You relate an oddly prophetic quote by then-commerce secretary Herbert Hoover in 1926, years before the stock market crash: “Psychology plays a large part in business movements, and overoptimism can only land us on the shores of overdepression.” This is a more confident, competent Hoover than Americans learn about in school. Has history misunderstood Hoover? If so, in what way? For sure, a lot about Hoover has been misunderstood or forgotten. This was a man who, up until the Great Depression, was renowned for his managerial skills and his talent for public communication. He has an amazing biography — a poor orphan from Oregon who became a self-made millionaire before the age of 40. 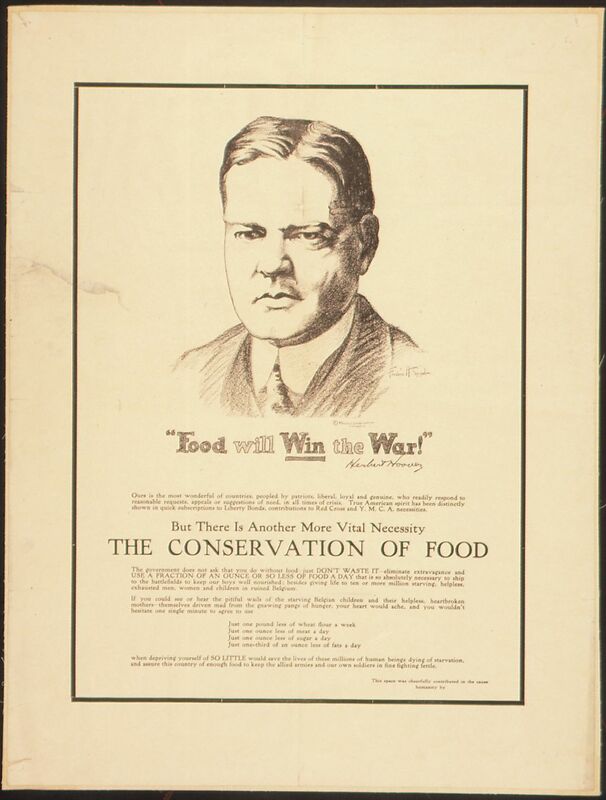 President Wilson tapped Hoover to run the U.S. Food Administration during World War I. He was so effective at the job that his name became a verb: housewives “Hooverized” by rationing food to support the war effort. His fame and reputation for being “The Great Engineer” only grew after that. Richard Nixon fared poorly on television when vying with John F. Kennedy for the presidency in 1960. You write that the “historical resonance” of his 1968 election came in part from how he chose to deliver his message. How did Nixon use the media differently in 1968 to achieve victory? The 1968 election was all about television. In 1960, Nixon had been a lackluster, sometimes disastrous television presence — stern in manner, flat in delivery and sweaty and combative under the hot lights of live debates. When he began to consider another presidential run, Nixon hired high-powered Madison Avenue advertising executives — classic Mad Men — who packaged him as slickly as a brand of breakfast cereal. His television appearances were carefully scripted, from Q&A sessions with hand-picked questioners to campaign ads with jangly music, quick-cut visuals and Nixon’s authoritative voiceover. Still, it wasn’t just the medium, but the message that won Nixon the presidency. He picked up messages that other Republicans — and some Democrats — were using to successfully appeal to a white, working- and middle-class constituency that was bewildered and fearful of all the social changes being beamed into their living rooms. Nixon spoke to a middle America that he called “the silent majority” and by doing so began to build a white, conservative constituency for the Republican Party that continues to this day. Finally, what do you make of Donald Trump and the current election cycle? Is it possible, in your view, that the Republicans might nominate Trump, and that Americans might elect him? And if not, what’s going on? Trump is the classic outsider candidate — as are other favorites like Ben Carson, Carly Fiorina and Bernie Sanders. This isn’t new, and it builds upon a suspicion of centralized government power that’s been in place since this country’s founding. America was created, after all, to escape the tyranny of kings! Candidates from Wilson to FDR to Nixon to Clinton ran successfully as “outsider” alternatives to the political establishment. What’s really interesting this cycle is that a lack of any political experience is now a virtue rather than a liability. It’s too early to tell how long Trump will endure. He has stuck around longer than many pundits expected (partly, of course, because pundits keep writing about him). It is clear that he has struck a chord with a certain segment of voters who — like the Debs and Roosevelt voters in 1912 and the Wallace voters in 1968 — are angry about how things are changing and want leaders who can deliver some bold solutions. For more information on “Pivotal Tuesdays,” contact O’Mara at momara@uw.edu. Follow her on Twitter at @margaretomara.